Essex Door and Window opened in 1975 as the brainchild of the patriarch of the Panza family. Though he later took a step back from the daily operations of the company, his family still owns and operates the business today. Multiple generations of the family helped out around the showroom, operated the telephone and installed windows and doors throughout New Jersey. Later family members added new services to the company based on what local home and business owners needed. Some of those newer services include roofing jobs, siding jobs and the installation of garage doors. Though the company now offers a number of different services, it takes pride in the installation it does of windows and doors. Steel security doors offer New Jersey homeowners the protection they need from exterior threats, and storm doors keep their homes protected from rain, snow and other weather hazards. 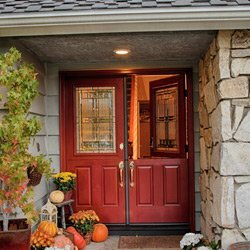 Customers can also select from a wide range of entry way doors and schedule the installation of those doors directly from the company. 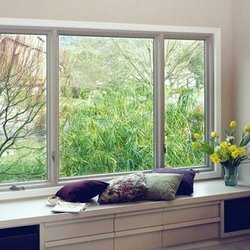 Essex Door and Window specializes in the installation of windows from Marvin, which is one of the oldest window manufacturers in existence today. Marvin windows feature insulated glass that cut down on energy bills, aluminum cladding on the outside that requires little in the way of maintenance and gas filled glass that prevents drafts. Most windows also feature a durable wood construction. Homeowners can also talk with Essex Door and Window about installing windows from other manufacturers in their homes. Those uncertain of what windows they want can visit the Essex Door and Window showroom in person to learn more. This public showroom showcases a number of windows from Marvin and other companies, but homeowners can also take a look at security doors, garage doors and other products that might be suitable for their homes. They can then schedule a time for one of the company’s installers to come to their homes and walk them through the process of installing those new windows. Only Essex Door and Window allows customers to order their windows and meet with a dependable installer on the same day. Essex Door and Window wants New Jersey homeowners to know that there is a company out there who understands their needs and one that will listen to any issues they have. Window installers work with homeowners every day to decide on the best windows and other products or projects for their homes. Customers can contact Essex Door and Window or visit the company’s showroom nearly any day of the week.